An earphone can make for a great holiday gift for yourself or another. Ditching stock earbuds or upgrading from a lesser model can make a huge difference in musical enjoyment while additional features such as noise isolation or built-in headset functionality can make a commute much more comfortable and convenient. For many users it makes sense to own multiple sets of headphones for different purposes. These days you really don’t have to spend a fortune to give the gift of great sound with an in-ear earphone – in the past year or two there have been quite a few fantastic releases costing less than $50. Great – which ones do I get? There are thousands of earphones out there and choosing between them can be tough. That’s where The Headphone List comes in. As usual, we have simplified things with just a few top picks out of the 100s of earphones we have tested for each of five different criteria – sound quality, noise isolation, durability, fit appropriate for small ears, and sports use. If you need a recommendation with another purpose in mind, just let us know in the comments below. Willing to spend more or looking for a particular sound? Check out our more expansive earphone buyer’s guide, which groups sets by sound signature and offers options across different budgets. Lastly, keep in mind the importance of a good fit with your earphones. Most in-ears were designed to maintain a tight seal with the ear canal and their sound quality will suffer tremendously with a poor fit. Check out our earphone fit guide for tips on wearing your in-ear headphones properly. Note: this page contains affiliate links. Using them does not cost you anything and supports this site by letting retailers know that we help their customers make buying decisions. All affiliate revenue will be used to make improvements to The Headphone List. See our Legal Disclaimer for more info. The most important selection criteria, and with good reason. Our picks here are earphones that blew us away with their sound and, at <$50, their value for money as well. VSonic’s brand recognition stateside leaves a lot to be desired but the name is very familiar to audiophiles in Asia, and deservingly so. Their newest earphone, the VSD1S, offers an accurate, yet energetic sound with good bass impact, fantastic clarity, and a spacious soundstage. 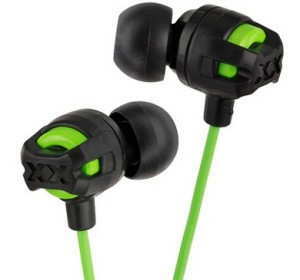 It even incorporates an articulating nozzle feature never before seen on an earphone in this price range. I prefer the VSD1S to its sister earphone, the VSD1, for its smoother treble. Overall, the VSD1S offers 90% of the performance of VSonic’s highly-regarded GR07 Bass Edition model at 1/4 the price. Enough said. Read ljokerl’s full review on InnerFidelity here. This in-ear earphone from gaming peripheral manufacturer SteelSeries took me by surprise with its audio quality, which easily puts it among the very best earphones in its class. It’s a great all-rounder with a warm tonal character, punchy and extended bass, good treble energy, and excellent clarity. The small, comfortable form factor, good noise isolation, and an inline microphone and single-button remote for smartphones and other devices make these one of the best values in portable audio. Small and comfortable, these Philips earphones fit almost any ear size and cost less than a good lunch. They may look like dollar-store buds but the sound tells a completely different story, easily holding its own against earphones costing many times more with excellent presence across the frequency spectrum, enhanced bass, and crisp, clean treble. Sometimes called “Music Colors”, they come in several color combinations and are the perfect stocking stuffer for music fans of all ages. JVC’s “Xtreme Xplosives” earphones are a bargain find for the bass-obsessed, combining deep and powerful bass with prominent treble. The sound is competent on the whole, if slightly harsh compared to pricier sets, but one thing is certain – the bass is fantastic for the price. The newer FX101 model uses a smaller driver than the original FX1X and fits more ears comfortably. It comes in several colors and a version with a built-in microphone and remote, the FR201, is also available. When using earphones outside, External noise is killer not only for listening enjoyment, but hearing safety as well. Hearing damage occurs due to a combination of volume and exposure, and noisy environments can encourage listening at dangerously high volumes. A well-isolating in-ear earphone can do a better job of blocking out noise than an Active Noise-Canceling headphone at a much lower price. This is a simple one – there’s nothing that isolates like an Etymotic, and in this price range that means the ETY-Kids. This particular model promotes hearing safety with a combination of immense noise isolation and volume-limiting impedance. 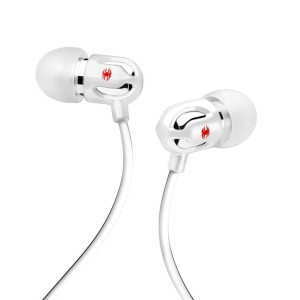 The earphones are also well-built and stay true to the Etymotic brand with sound that is clear, accurate, and neutral, though for some listeners perhaps lacking in desired bass presence. The ETY-Kids name itself may be off-putting to some but there is nothing childish about the design – or sound – of these earphones. Volume-limiting aside, the ETY-Kids are simply a great option for keeping music in and noise out. The ETY-Kids 5 is a stereo earphone while the ETY-Kids 3 is a headset model with microphone and 3-button remote. Admittedly, we are not always as careful with our electronics as we would like to be, and while it’s always a good idea to treat earphones with care, a little extra durability can be worth a premium to many listeners. Here are a few sets that we think will survive abuse better than the competition. 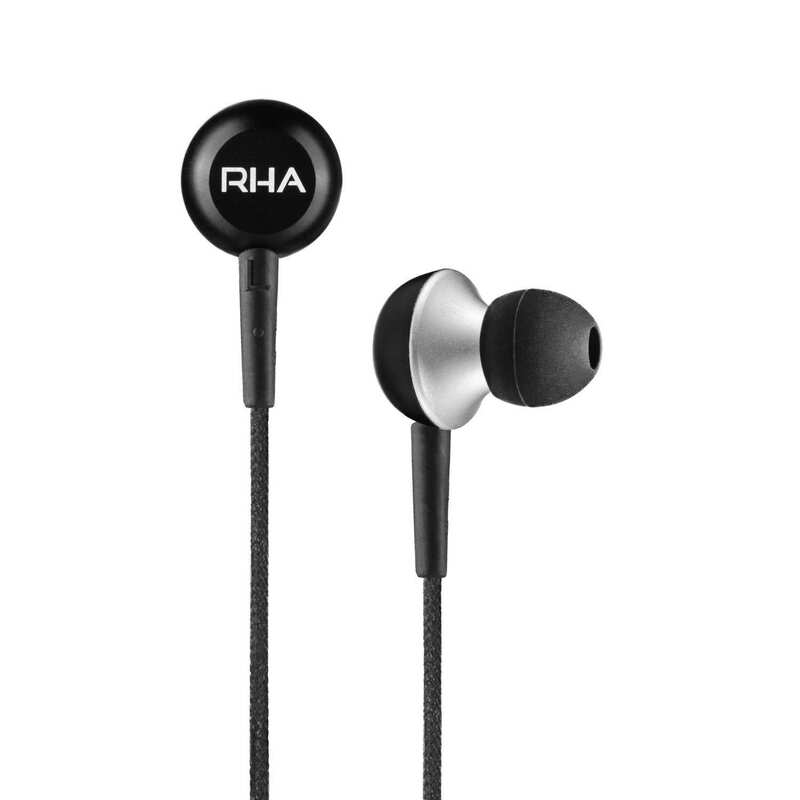 Hailing from Scotland, the MA350 by RHA is built to take a beating. From the from aircraft grade aluminium housings to the fabric-sheathed cable, the MA350 is rock solid. The earphone is no slouch in the sound department, either, delivering deep, impactful bass akin to that of the $100 Monster Turbines at a fraction of the price. 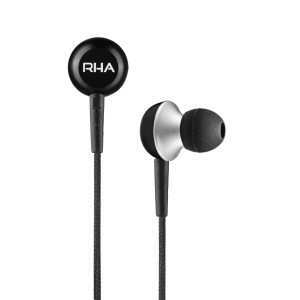 Add to that RHA’s 3-year warranty and the MA350 is a winner all around. 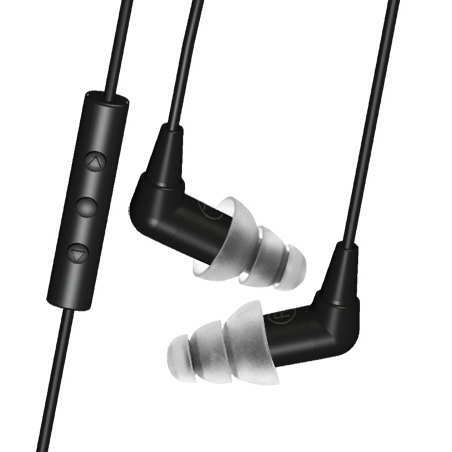 The MA450i, a similar-sounding earphone with microphone and 3-button remote, is also available. The Philips O’Neill product line is designed for active use, and the SHO2200 Tread model was built from the ground up for the sole purpose of withstanding abuse. The Tread delivers exactly what it promises – a bulletproof construction that puts most other earphones to shame. 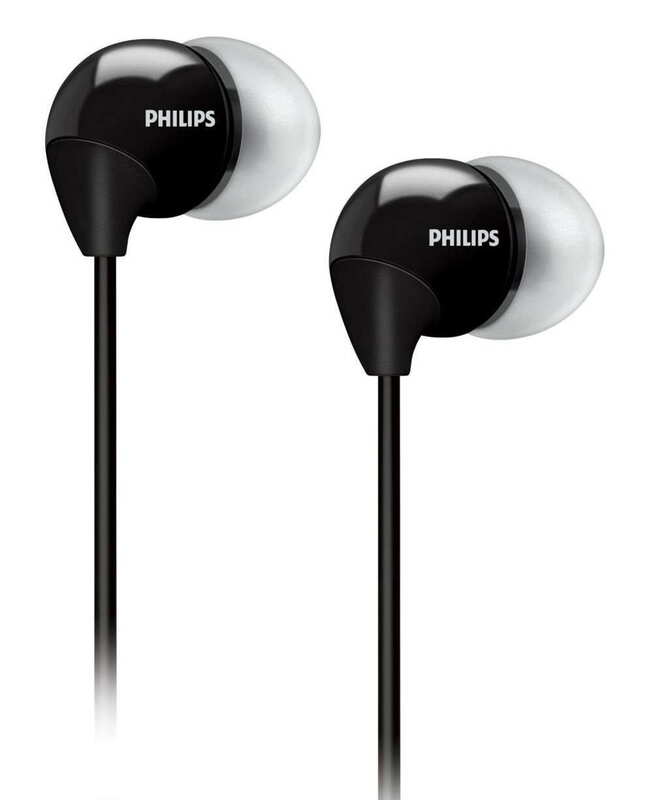 It may not sound as rich and full as the less expensive Philips SHE3590 or the RHA MA-350 mentioned above, but the Tread is sure to be a hit with those who are fed up with replacing broken earphones. 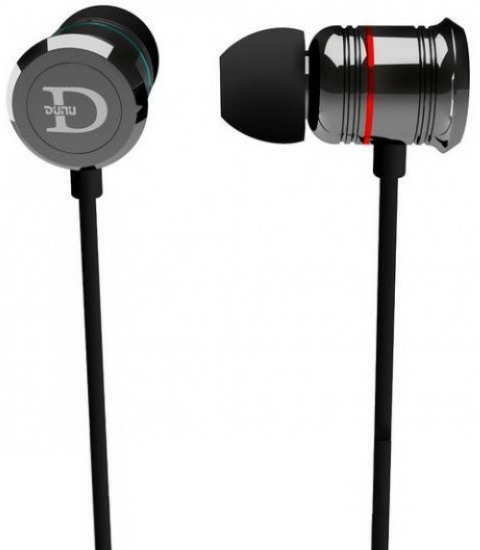 In the few years Dunu has been in business, their earphones have become synonymous with great attention to detail – the packaging, accessories, and design consistently surpass expectations at every price point. The Detonator model boasts the fantastic build quality Dunu has become known for while producing sound that is warm and smooth. Underpinned by appropriately explosive bass response, it is an easy sound to enjoy and a difficult one to dislike. The Detonator also boasts an inline microphone and remote, and the packaging makes it an excellent $50 gift. As a bulletproof entry-level smartphone headset, it’s a tough one to beat. For those who don’t need a microphone, the less expensive DN-12 Trident model is also worthy of recommendation. Perhaps a less well-defined category, but still a question that gets asked over and over – which in-ears best fit small ears? There are many that may work, but our picks in this category are especially tiny and should fit nearly all ear shapes and sizes. 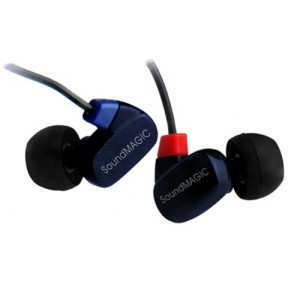 Soundmagic has been in the earphone business for many years, consistently delivering products that offer solid performance for the price. The PL50 model in particular is notable for two things. First, it uses balanced armature drivers, which are pricier and rarely found at this price point. This gives the PL50 a balanced, smooth sound with a focus on the midrange in place of the more conventional bass focus of most other entry-level sets. Second, the PL50 is tiny – the balanced armature drivers, originally developed for use in hearing aids, weigh very little and take up no room at all, permitting the ergonomic shape and low profile of the earphones. The PL50 is worn “over-the-ear” style, with the cable looped up over the ear, and is one of the most unobtrusive earphones we’ve tried. Designed from the ground up for those with small ears, the TinyEar comes with a selection of smaller eartips and utilizes a smooth, tapered design. Tiny and lightweight, it will fit pretty much anyone comfortably. With a bright tonal character, the TinyEar is not the best-sounding earphone in the price range, but clarity is good and the design simply works for smaller ears. After all, what good is a great-sounding earphone that doesn’t fit? An EMic version with a mic + remote is also available. In a sports earphone we look mostly for comfort and a secure fit. Sound that is not dull or boring is important as well – a bit of extra audio quality can go a long way towards making that last mile easier to push through. The MEElectronics M6 has undergone quite a few changes of the past several years but underneath it’s still the same earphone I fell in love with back in 2009. 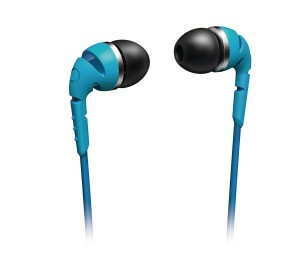 The combination of an over-the-ear form factor and flexible memory wire keeps the earphones in place. It may take a day or two to get the hang of wearing the M6 but once fitted correctly it provides a comfortable, secure fit and robust sound with good bass punch and crisp treble. It’s not the most refined-sounding set, but it’s definitely the best sports earphone we’ve heard in this price range. 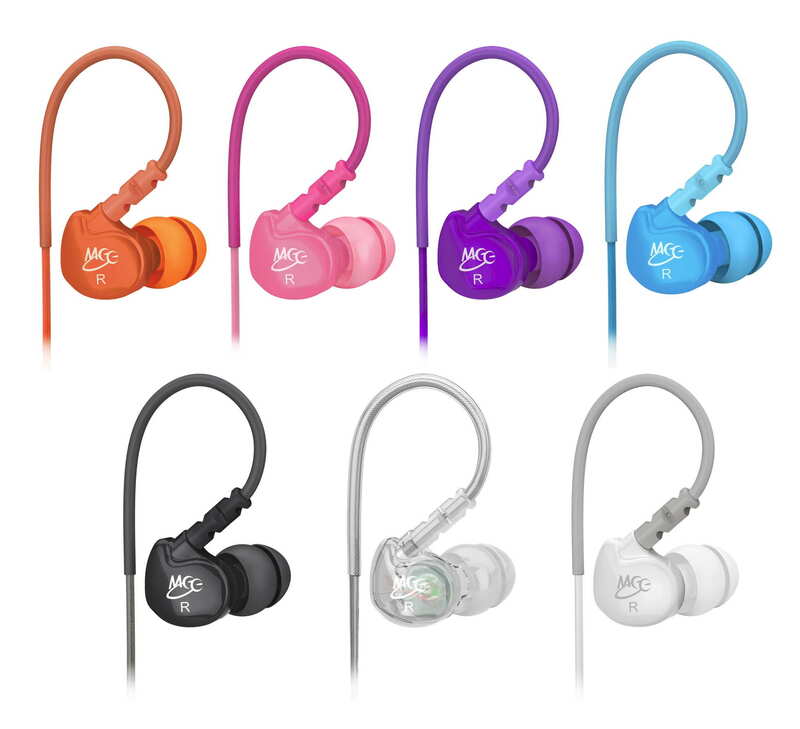 Available in seven colors, the M6 is sure to be a hit with joggers, gym-goers, and anyone else who values an earphone that stays in place. A headset version with microphone and remote, the M6P, is also available. That rounds out 11 of the best <$50 earphones for every need. For in-depth reviews and additional recommendations in other price ranges, check out our sortable review list and out our more expansive earphone buyer’s guide. This article is three years old… S500i only came out six months ago. hey man have you tried out the MEE m6 pro? which would you recommend compared to the VSD1S, MEE a151, and the ostry KC06? i’m looking for clarity and enjoy vocal and acoustic. i don’t like bass and would prefer decent mids and treble. thanks! I haven’t, but I prefer the KC06 to the A151 and VSD1S. Different sound tunings though – the A151 is the flattest and least exciting, but also the most accurate. The VSD1S is more v-shaped, and not the best for vocals. The KC06 has prominent vocals and very good clarity AND a fairly exciting sound with bright treble, so that’s the one I’d pick. I’m looking to replace my Astrotec AM800’s which recently began shorting out on me. I also had to glue the earpieces back together as they both came apart. I love the sound signature of the AM800 (clear, detailed, great highs- mids and not overly bass-y or bass-lite) But I’m looking for something with a bit better build quality. Any recommendation? Three good options I can think of in different price ranges: LG Quadbeat F420, Ostry KC06, and DUNU TItan 1. All have strengths similar to the AM800. These first two aren’t necessarily more durable than the AM-800 but you’re also not paying much more for them. The Titan 1 is the most well-made and the most capable, but will run you about $110. Hey, I loved this review but I’m kinda new to this whole headphones thing lol. I was wondering what is the best pair of earbuds for dubstep or pop music? I can go for anything under 50. Thanks! The safe choice these days is a Xiaomi Piston 2. Just make sure you get a genuine one. Plenty of bass, great clarity, and value for days. Hey Joker, Great Review by you. I am looking for a earbud under $70. I want my earbud music to be sound like home theatre system with great bass and also clear vocal. I listen to pop, pop dance,edm, dubstep, electronic and rap . Can you suggest me the best earbud with this price budget that I should buy? That’s quite a lot to ask of a $70 earphone. I would get the Ostry KC06: https://theheadphonelist.com/brief-impressions-vsonic-vsd3s-ostry-kc06-havi-b3-pro/ . It has a rather “big” and spacious sound with pretty good bass and very good clarity. Other options if the KC06 is not available: Soundmagic E10, LG Quadbeat F420. Great write-up ! What would be the best option for mostly Rock, Heavy Metal, Hard Rock etc music ? Ultimately it depends more on your personal sound preferences than the music you’re listening to. I tend to prefer a balanced or slightly v-shaped sound for Rock, so for me in that price range it’s the VSonic VSD3S (it’s slightly more balanced than the VSD1S recommended in this guide). In higher price ranges it’s stuff like the VSonic GR07 Classic, FLC Technologies FLC 8, and so on. What about KC06? If we can compare with VSD3S? I don’t mind. .having extra bass(..Rha ma 350 ,wooduo. 2 ..) but I don’t want the sound to be muddy or dull..I want them to be energetic..
How about sennheiser momentum in ears,shure se 215. T poes tank and popular, and tank are the only two types earphones available.in india. And also throw some light on ostry kc06..
More bass vs less clarity is generally the tradeoff. The E10 strikes a good balance. If you go too far in the bass direction, like the MA350, you start sacrificing some clarity. 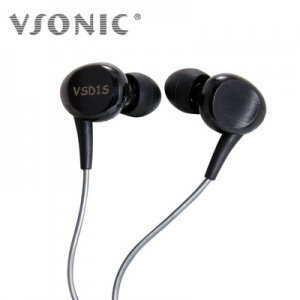 The Momentum and SE215 are good, too, but they are generally more different from the E10 than VSonic/T-Peos earphones. The SE215 is warmer and has less treble energy (so maybe not the best if you want energetic sound) and the Momentum has good bass and strong treble, but the midrange is slightly recessed. The KC06 is a better option, I think. It’s like a combination of the E10 and the Fidue A63 you asked about previously – brighter and more energetic than the A63, but with more mids and more clear and spacious sound like the E10. They were most energetic with good bass, treble..clarity. Your liking the E10 at least gave me something concrete to base recommendations on – everything else is just too vague. You have to realize that you’re looking at <$100 earphones and they're not going to do everything perfectly. Either the KC06 or VSD1S will do what you want quite well, depending on where you're willing to compromise. Just get whichever seems more appealing.
!) my audio source is ipod shuffle ,cowon i audio e3 ,i am not happy with either of them,how good is sansaclip plus?i dont care about VFM,only thing which i need is good soundquality and good high volume with out much distortion.i use them mainly for jogging,soo no external amps s..please suggest a portable audio player with good sound quality. These IEMs are kind of all over the place in terms of sound tuning, which makes it tough to narrow things down for you. Based on you liking the E10 and wanting punchy bass (taken to mean equivalent punch to the E10 or slightly greater), you can eliminate the VC02 and AM-90 for having sound that is too flat and the MA350 and Wooduo 2 for having too much bass. The A63 can probably be eliminated as well on the basis of being the opposite of the E10 in sound signature – midrange-focused, warm, and a bit dull at the top end. That basically just leaves the VSonics and T-Peos. They both have clear sound with punchy bass and bright treble. They tend to be less smooth and spacious than the E10, but with more clear and resolving sound (more analytical, if you will). A worthy trade-off for me, but if you specifically want something that sounds like the E10, they aren’t quite it. The VSonics all sound similar to each other but the VSD1S has punchier bass than the higher-end models so it may be the best choice for you. Likewise the T-Peos units in this price range aren’t too different but if you’re after punchy bass the Tank or Rich200 would both be good, though I tend to prefer VSonics. With that said, T-Peos earphones tend to be more sensitive (i.e. louder), though loudness is by no means an indicator of quality. Also, I don’t know that the clip has any volume advantages over a shuffle, unless you have one of those EU volume-limited Shuffles. They should be about on-par performance-wise. I personally think the Clip is a great mp3 player, always been happy with it. I meant the same buds that are award winners on whathifi did not get very high ratings from you. like soundmagic e10..why is that? The E10 has been on my earphone buyer’s guide (https://theheadphonelist.com/earphone-buyers-guide/) longer than any other earphone so I’d say it got plenty of praise. 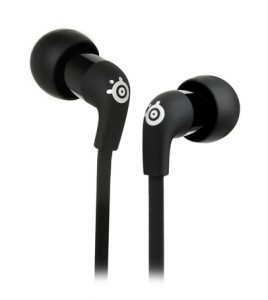 Like most earphones, it has a specific type of sound and is recommendable in specific situations. In your case I do think the E10 would be a good choice but if your budget goes high enough I’d also consider the ~$60 Ostry KC06. It’s one of the first earphones I think of when I think airy and clear. It does have bright treble but is not harsh or sibilant like the Klipsch S4. However they don’t appear on your list so now i’m confused 🙁 as your reviews seem very good , do you rate them ? It’s a very old earphone now, originally released in late 2005 or early 2006. It was probably the best earphone in the price range at the time (and one of the few proper in-ears under $100, period) and that reputation still carries it into top-whatever lists to this day. This is especially true for lists made by those who don’t actually listen to earphones themselves and just go off Amazon reviews or whatnot, like that 2nd one you linked. I have a more up-to-date guide here: https://theheadphonelist.com/articles/earphone-buyers-guide/ but generally speaking if you’re looking for Sennheiser-like sound under $50 your best bet currently is the Sony MH1C or the Xiaomi Piston 2. Thanks for the the info, much appreciated. I like the look of the MH1C. Excellent, what a web site it is! This web site gives valuable data to us, keep it up. I need your guidance for buying headphone for my mobile & MP3 Plyer under 50$-60$. Tech specification:Impedance 32ohm ++ & Driver 10mm ++(neodymium & beryllium) ,kevlar or any strong cable & card,frequency medium must be large. I don’t know why you need a particular impedance or driver size – these really have no direct correlation with sound quality. 32 ohm earphones are pretty rare, too, and your budget is already pretty tight for all the other stuff you want. For a well-isolating earphone with decent build quality and a mic in that price range your best bet is probably the Astrotec AM-90-MIC (https://theheadphonelist.com/headphone_review/astrotec-am-90/) or one of the T-Peos sets, such as the D200R or Rich200. These can be hard to find depending on where you are located, but they’re a good compromise for what you want. Noise cancellation,noise isolation & Crystal clear voice/Music. Good base & treble with perfect balanced sound effects. crawler cables because i travel lot so far Panasonic Rp125&Sound magic ES18 got damaged. I may use it for my pc its already having sound card. so only i need high ohm,big driver (neodymium & beryllium),Large frequency band,high power input & very good micro-phonic characteristics. i am in India so kindly refer me a good one with a budjet 80$. Already i found some matches soundmagic E10S,Piston 3,Senheiser cx300,Sony mdr xb50 ,audio technica ath ckx5iS & jbl synchros E10. which i found in india. so kindly refer me a good one with good warranty .